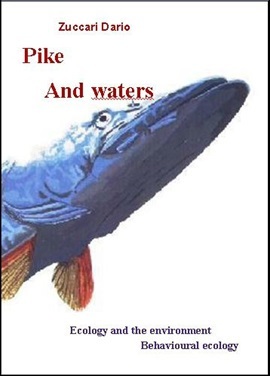 The Pike and the Waters wants to be an in-depth guide for a better knowledge of the pike. Each of us continually seeks harmony with the fish and the environment where they live, and certainly being able to feel and think like a fish is essential for those who really want to capture the big pike. This book has the ambitious purpose of introducing us into their world. Many are convinced that baits and technological equipment are essential. But the capture of a large fish is above all the result of knowledge, something that often even the most expensive equipment cannot does. The Pike and the Waters will take you into the world of these magnificent predators. Starting from the biology and the anatomy of the fish, passing through the thermal cycles that regulate the biological life of every organism of the lake and river ecosystems, the book takes into consideration the pike's psychology and therefore the understanding of the mechanisms that underlie its behaviors, the relations between cospecifics and with other large carnivores with which it divides its vital spaces. The first part describes the pike and some of its anatomical aspects, such as the respiratory system, the blood and the senses used by the predator to hunt and survive. A large space is intended for the knowledge of sight, certainly one of the most important organs for this hunter. The second part deals with limnology, the branch of the natural sciences that studies the complex mechanisms that regulate the life of waters. In particular, like the seasonal thermal cycles are developed, closely linked to winds and water circulation. The third section of the book explores the aspects of ecosystems in relation to the needs of our predator, such as environmental ecology, and develops its cryptic behavior in relation to its preys and to its likes, an important part is reserved for behavioral ecology. Hunting, the size of favorite preys depending on the size reached, cannibalism, the influence of the lunar phases and atmospheric pressure, even if they may appear to be random events, are all aspects regulated by precise biological mechanisms. Then there is an extensive discussion of the interaction between natural physical forces, such as terrestrial magnetism and the possible influence exerted by electromagnetic fields, and pike; this part of the text also incorporates the influence of fragrances and the smells, relating them to the sense of taste and finally develops the physics of light, after then come back to the sense of sight of our fish, looking for explanations to behaviors that often can seem bizarre and even disconcerting. In the last part, the book deals with fishing for pike, takes into consideration some tools such as echo sounders and GPS, but especially concerns the narration of some catches, mine and of my friends, which for me were really significant episodes, towards a better knowledge.